Our bushfire preparation this season includes making sure our customers know how important it is to put aside some drinking water and to be ready with an alternative source of water in the event of a bushfire. A bushfire may impact on our ability to maintain water pressure, or to supply you with water, if electrical power is lost, or a water asset is damaged by fire. CFA District 10 Operations Manager Allan Rankin talks about preparing to defend your property and having an alternate water supply. The CFA advise leaving early as the safest option to protect you and your family. For home owners who choose to stay and defend their property, the CFA recommend at least 10,000 litres of water is available for emergencies. Consider installing a water tank specifically for firefighting purposes. If you have a swimming pool or dam, consider using these as a source of water for firefighting. Rubbish bins, wheelie bins, bathtubs, laundry troughs and 200 litre drums can also be used. To draw water from an independent water supply, a petrol or diesel fire-fighting pump is needed. Consult a pump specialist to determine the size of the pump and fittings needed. Hoses for use in the event of a bushfire should be able to reach all areas of your home. For more information on the Fire Danger Ratings and Total Fire Bans, visit the Total Fire Bans and Fire Ratings for Victoria page on the CFA website. Before the fire season starts, you should develop a Fire Ready Kit to help you understand the risks on your property and be prepared in case of a bushfire. 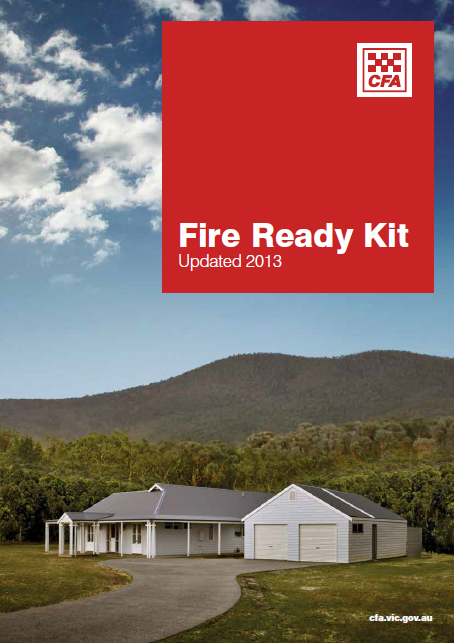 You can download the Fire Ready Kit from the Country Fire Authority (CFA) website. 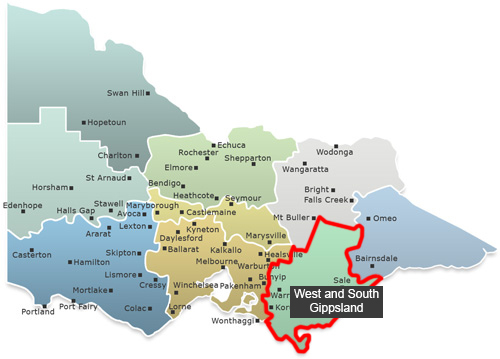 The Gippsland Water service area is located entirely in the West and South Gippsland Fire District.